Learn how to incorporate boomerangs and cross-armed trapezes into your braintwister combos. Boomerangs and Cross-Armed Trapeze: Vol. 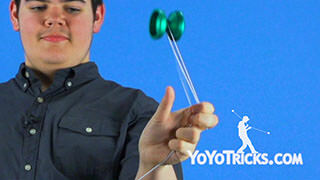 6 Braintwister Combo Series Yoyo TrickThis is the sixth video in the braintwister combo series. 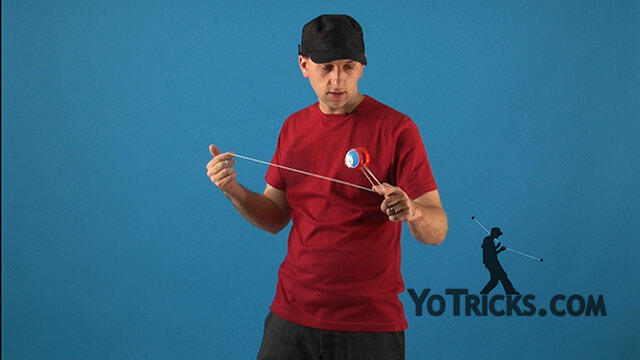 In this video, we are not going to be teaching you anything new, but we are going to be showing you how to incorporate tricks that you have already learned, into your braintwister combo. 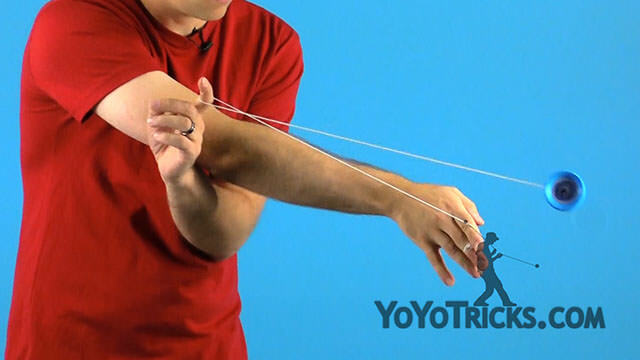 Before you watch this video, you are going to want to make sure that you have watched our tutorials on the Boomerang, Cross-armed trapeze, and Cross-armed trapeze variations. 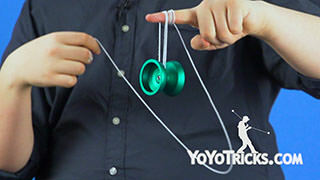 Before we move on, we recommend you artificially shorten your string length. This will make it easier while practicing the rest of these tricks. So now let us talk about boomerangs. 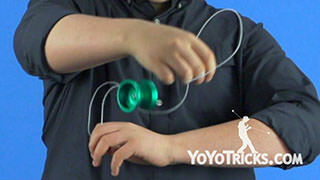 You can perform boomerang in the standard way, or for a bit of added flare, you can do it after performing a pinwheel. 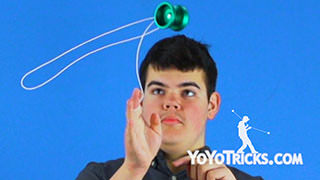 And, after shooting the yoyo out, you can also perform a pinwheel in reverse. 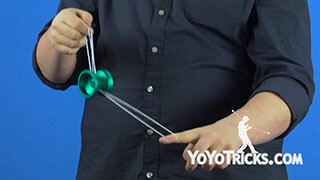 Do not forget, you can also stack this with your inside outside pinwheels. Now, this entire time, we have been performing boomerangs on the inside, in front of our chest. 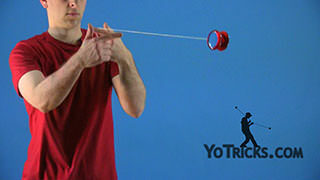 You can also perform boomerang on the outside of either arm. 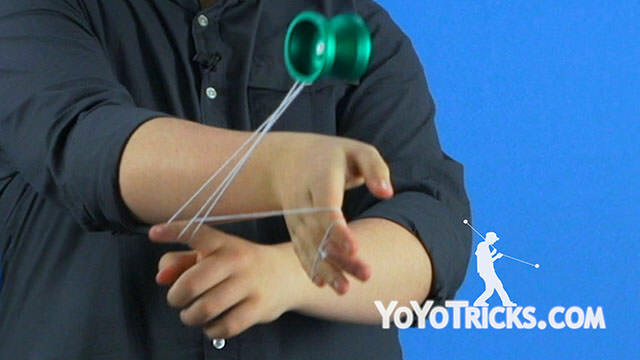 Another really cool thing about boomerang is that it leads really well into the cross-armed trapeze. Speaking of the cross-armed trapeze, you can get into it right from the dismount of your bottom mount. Once you are here, you can perform all of your cross armed trapeze variations. You can also stack your cross armed trapeze with the double on. 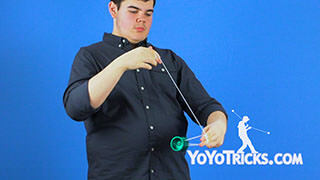 To perform that one, you are going to start by rolling the yoyo upwards and as the yoyo reaches its apex, you are going to perform the cross armed trapeze motion with your throwhand. This will end you up in this cool little double on. From here you can even dismount into another cross-armed trapeze. 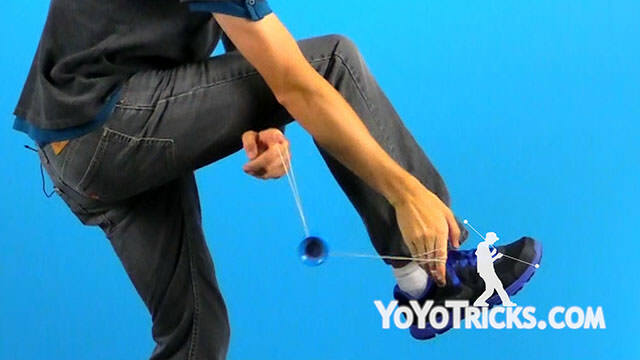 So, practice these tricks, get them down smooth, incorporate them into your braintwister combo with good flow, and you are one step closer to creating the ultimate braintwister combo.